The Primary Choir, as an ECA, has gone from strength to strength over the past four years. 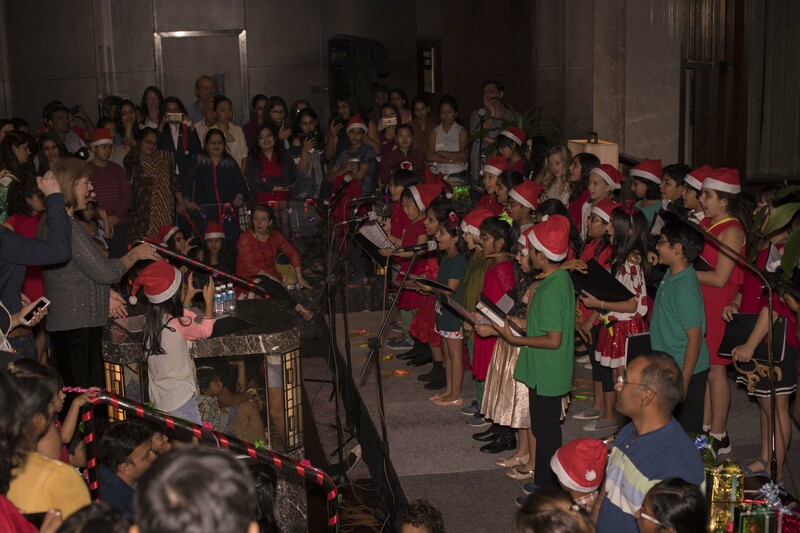 We find that there is a high level of interest from all our student and that one attraction, besides the opportunity to express themselves in song, is the now traditional performances at hotels around Pune for “Tree Lighting” celebrations. 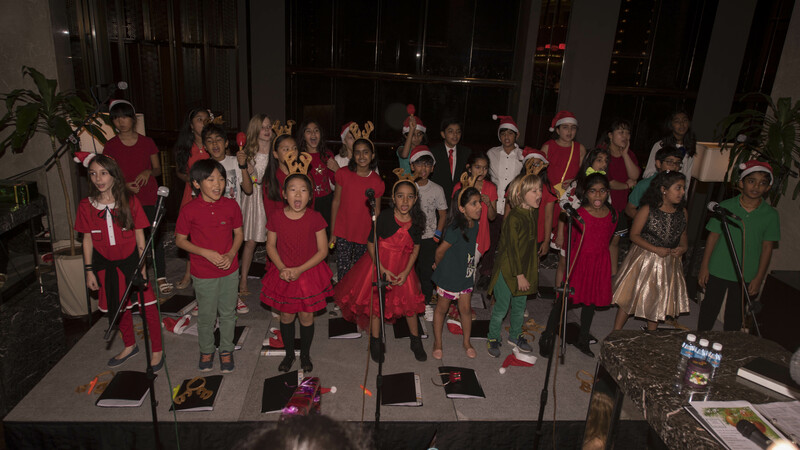 When the new ECA’s come out, for semester two, you will see we have a PYP1 and PYP2 singing ECA added, We encourage all the PYP1 and PYP2 to sign-up as this time will be used to prepare for the second semester performances which this year will be in the form of a musical recital. PYP 4 and PYP 5 too have an ECA and we would like all the children to sign-up, if possible, but definitely all our choir members. PYP 3 do not fret you have not been forgotten! However, there are only so many ECA’s Ms. Praveeta and Mr. Kushal can do, so we will take the lesson marked on your timetables as Celebration of Learning to prepare in due course for your recitals. 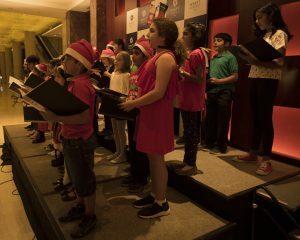 Now back to our Semester One Primary Choir exploits – This year our eager band of PYP 3 to PYP 5 students, under the guidance of Ms Praveeta, wonderfully supported by Mr Kushal practiced long and hard on a full repertoire of songs ranging from traditional carols to lively well-loved popular christmas songs. There was so much cooperation within the group and there was risk-taking too! We had students volunteer to sing solo parts for some of our songs and that takes a lot of courage to do this in front of an audience, especially an unknown audience as at the hotels! This year once again our students were in demand from a number of hotels but we stayed with The Hyatt and The Conrad like last year. We know the children look forward to performing to an audience wider than just their family and friends and are eager to engage with a wider Pune audience. However, we know families need family time too, so we try not to over commit. Thank you to all the families who came along to support the choir, we were delighted to see so many of our younger children there with the parents. Thank you to the families of the choir members for committing to bring your children to these evening events, supporting their love of music and their learning. I am sure you were amazed by their level of confidence and singing skills. The choir not only had to practice long and hard for the hotel performances but they also had the school Winter Concert to prepare for and they showed great commitment to both. Here at MBIS we value the holistic approach to child development and an Arts programme is one of the pieces in the holistic jigsaw that makes up both our regular curriculum and also our ECA programme.